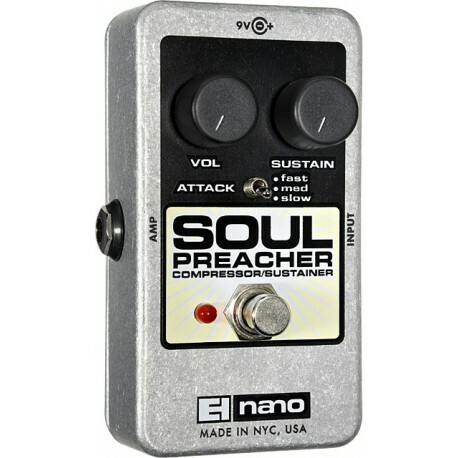 One of finest compressors ever built for guitar or bass, the Electro-Harmonix Soul Preacher is an effect pedal that offers 3 selectable attacks coupled with silky, long sustains. The switch selectable attacks offer super articulate compression. 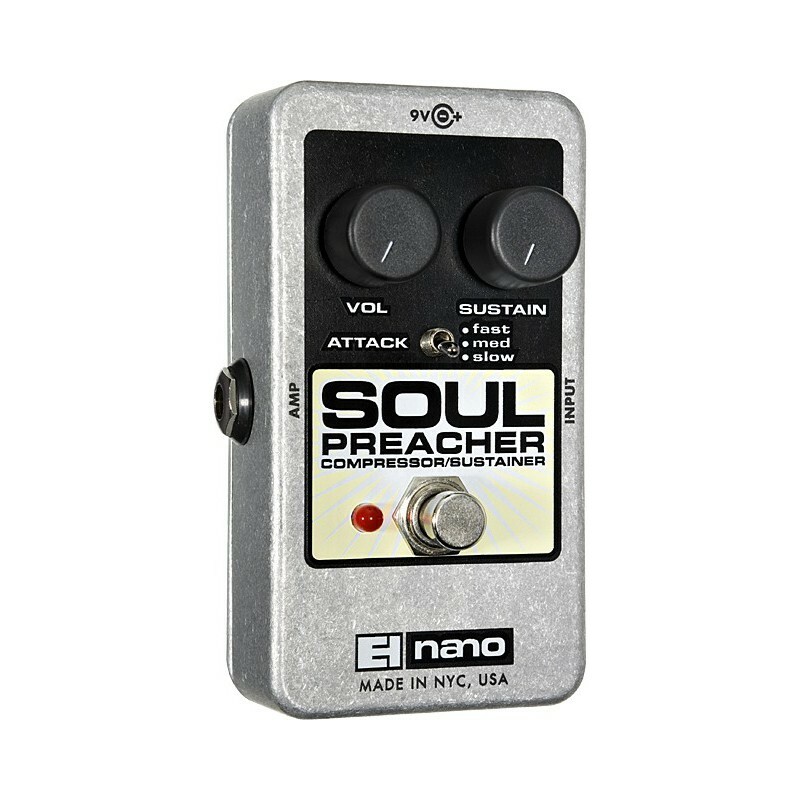 Let your guitar step forward without squeezing the life out of your tone. Heavenly sustain, sonic salvation.